Southwell has a thriving and active community life, with a wide range of clubs and societies. If your interests lie in Bridge, Dominos or Bowls; Football, Rugby or Tennis; Girlguiding, Amateur Dramatics or wildlife watching, then we have something for you! In this section you can find out how you can get involved in your local community across an enormous and varied range of sporting, outdoor and cultural activities, hobbies and pastimes, voluntary community support and environmental work, or simply because you enjoy the company of others. Southwell offers residents a choice of over 90 clubs, societies and sports groups, many with multiple age groups or providing a diverse range of activities and skills. Southwell U3A, for example, offers over 70 different groups or activities. Our groups in Southwell cater for every age range, from mothers and babies through to teenagers, middle age and senior citizens. Community groups, clubs and other local organisations are able to promote themselves and their activities in our Directory of Groups and in the Town Diary. We also offer opportunities to promote your events on noticeboards around the town and on strategically placed banners, such as on The Burgage. The Town Council offers two rooms for hire in the Old Court House – the historic Court Room and the smaller Committee Room, with special rates for charities. 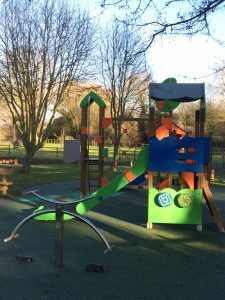 The Burgage, football pitches and some open spaces in parks are available for hire by any community group, individual or business, subject to the hire procedure. Click here for prices. If you would like your community group, club or society including in our Directory, please click here to download a request form and send it, when completed, to [email protected]. We don’t publish individuals’ names, except when their name forms part of a contact email address. If there are any errors in the information listed or if you would like to update the published information, please let us know at [email protected]. We are also very happy to add a logo or photo (which must be less than 5MB) to your entry.